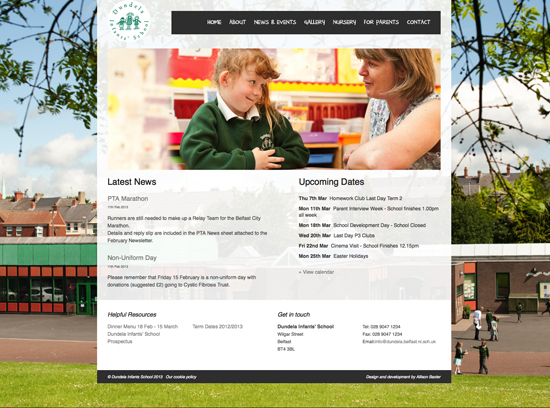 ​The Dundela Infants School website is aimed at parents of prospective and present pupils. The site had to be designed in such a way that the busy staff are able to maintain and update the site with the minimum of fuss. I worked with the photographer Mark Barton to make use of Dundela’s best assets - it’s children, to produce a bright friendly website that is child friendly without being ‘childish’!